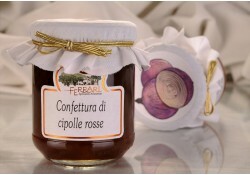 In this section we have both tradition and innovative cuisine. 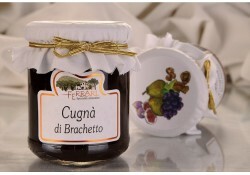 We have the "cugnà" typical product of Piedmont with origins in poor cuisine that put together what was available in September before the cold winters of Piedmont. 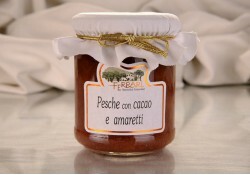 The cooking of the must of grapes and pears tooked place over low heat on "putagè" (stove with oven function) for several hours until obtain a jam bittersweet who usually was eaten with polenta. 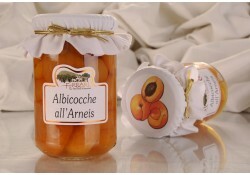 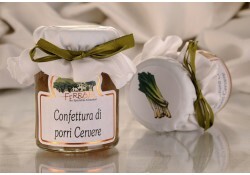 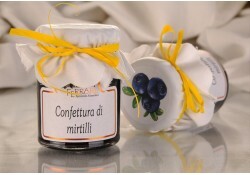 We then the jams of more recent origin made with leeks, peppers etc. 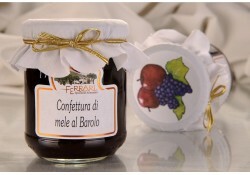 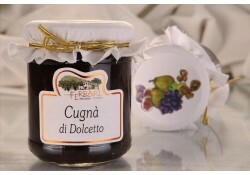 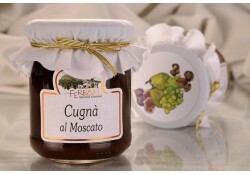 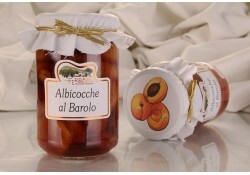 We suggest both jams and Cugnà with pairing cheese or boiled meat. 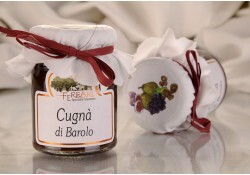 Already pitted and packed by hand, they are also available in versions with Barolo and Nebiolo.